"Illocutionary constructions are entrenched, productive and replicable form-function pairings characterized as constructional procedures capable of jointly activating relevant parts of illocutionary scenarios in connection to relevant elements from the context of situation". Philosophers of language and linguists have addressed the phenomenon of illocutionary meaning from a wide array of perspectives and have put forward two main assumptions on the interpretation of the illocutionary force: the Codification Hypothesis gives prize of pride to grammatical aspects, whereas the Inferential Hypothesis ascribes it to mental mechanisms. This book presents an alternative theoretical framework, the Cost-Benefit Cognitive Model, which is circumscribed within Cognitive Linguistics and the cognitively-oriented strand of Construction Grammar. 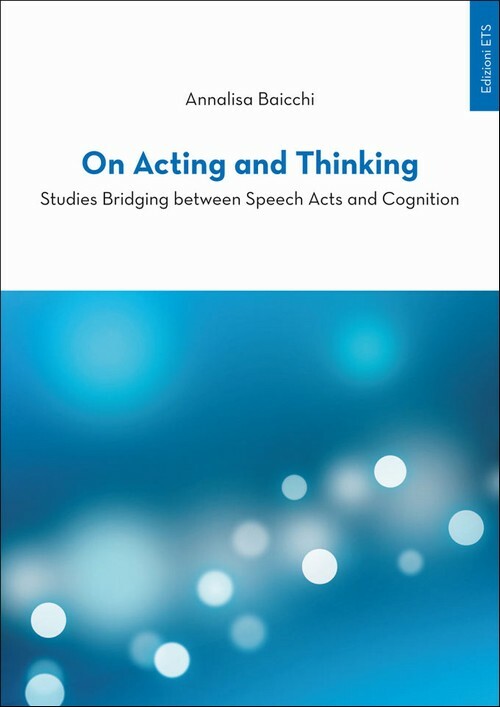 The book collects the results of a research on the traditional categories of interpersonal speech acts and examines the interplay between linguistic structures and cognitive processes involved in the construal of illocutionary meaning. Speech acts are thus conceived of as high-level situational cognitive models that encompass the scenario in which the illocution is uttered, the common elements of the low-level structures and the constructional procedures for the instantiation of illocutionary meaning. Annalisa Baicchi received a Ph.D. in Linguistics of Modern Languages from the University of Pisa and is currently Associate Professor of English language and linguistics at the University of Pavia. Her research interests focus on the syntaxsemantics interface, construction grammar, acquisitional linguistics, cognitive pragmatics, translation studies, and computational lexicography. She is a member in three international research projects for the development of a semantic theory of meaning construction. She is the author of books and articles in national and international journals and collections, has co-edited a selection of the papers delivered at the 1st International Conference of Cognitive Linguistics, which was held in Pavia in 2003 (Modeling Thought and Constructing Meaning), and has edited the 2007 RILA issue (Voices on Translation. Linguistic, Multimedia and Cognitive Perspectives). She is Associate Editor of MetBib (John Benjamins).